Are you looking for file manager apps for organizing, transferring and uploading files easily on your iOS devices? In this articles, you can see 9 best file manager apps for iPhone and iPad. With the help of these best file manager apps, you can manage your personal or business purposes files to keep everything in a customized order and upload them to your cloud storage accounts such as Dropbox, Box, OneDrive etc and transfer to your computer easily. There many useful file manager apps on Apple Apps Store for iOS devices, but here we've listed only best file manager apps for your iPhone and iPad. 1. iFiles 2 - File Manager, Cloud Storage, PDF Reader ( iPhone + iPad ) :- It is one of the best and effective file manager apps for iPhone and iPad. With the help of this file manager app, you can transfer files between your computer and iFiles, you can export or import files, you can save directly to a cloud service with offline support and more. 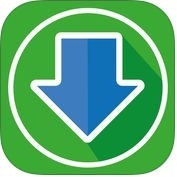 iFiles 2-File Manager, Cloud Storage, PDF Reader app has lots of amazing features such as support online cloud service and protocols, PDF reader with annotations, file sharing, background audio, create zip files, edit mode for multiple file operations, passcode lock, advanced transfer manager with background support etc. 2. 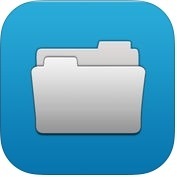 File Hub Pro - Powerful & Intuitive File Manager ( iPhone + iPad ) :- This is a powerful, user-friendly and intuitive file manager app for iPhone and iPad. 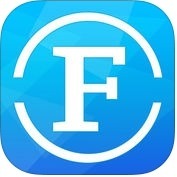 File Hub Pro-Powerful & Intuitive File Manager app has several amazing and useful features such as over 40 file types support, passcode lock, deep file searching, import and save photo & video from photos library, export & import file from to iCloud drive, Cloud file manager, support PDF file and support pinch and double tap gestures and more. You can easily access and orgnize files on your iPhone and iPad, you can also view all photos in a folder includes GIF and normal video on your iOS device. 3. 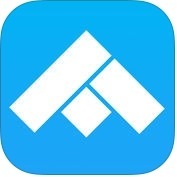 File Manager Pro App ( iPhone + iPad ) - With the help of this file manager app, you can organize and view your all files at your fingertips on your iPhone and iPad. File Manager Pro App has a lot of unique features such as download & synchronize your files, intuitive user interface, open files in other apps, mark favorite files, zip & unzip, password and more user interface features. If you are looking for a robust and powerful file manager app for your iPhone and iPad, you should try File Manager Pro App. 4. 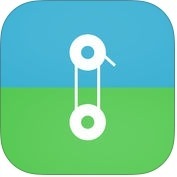 OrganiDoc HD - Your best file manager & PDF viewer ( iPhone + iPad ) :- With the help of this file manager app, you can manage your documents, photos and videos in both public and protected mode, you can transfer files simply and easily, you can use free dropbox, google drive or other cloud disk services for backup, you can easily connect iPad to TV or projectors to do presentation. You can also browse the majority of file formats on your iPad. 5. eDl Pro - Web Browser and File Manager ( iPhone + iPad ) :- eDI Pro-Web Browser and File Manager is one of the best and user-friendly file manager apps for your iPhone and iPad. With the help of this file manager app, you can modify the type of browser detected by websites, you can bookmark, history & cookies management, navigate bar and toolbar, and you can save and get pictures or videos to photo library with its original quality. This file manager app has several amazing and useful features such as download manager, file viewer, image editor with zoom and tools to crop, resize and different rotations. password protected files and more. You can also set a pin code, pattern or touch ID for more privacy on your iPhone and iPad. 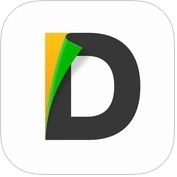 6.Documents by Readdle ( iPhone + iPad ) :- If you want to keep your documents protected you can use Documents by Readdle, best File Manager app for your iPhone and iPad. It is good place to keep your documents. This file manager app has lots of amazing and perfect features such as view office documents, manage your files, read & annotate PDF files, sync with iCloud, google drive, dropbox and other services, store email attachments and more. You can also protect everything with a password on your iPhone and iPad. 7. Pocket Drive, best File Manager ( iPhone + iPad ) :- With the help of this file manager app, you can transfer your files to your iPhone and access them anytime, anywhere. Pocket Drive, best File Manager app has several wonderful and user-friendly features such as unlimited files and sub-folders, copy files easily by dragging and dropping, download any file from the web, manage archives with built-in ZIP, play MP4 movies with AirPlay support, and more. You can view Microsoft Office & PDF documents and you can also view your photos in advanced photo viewer in iPhone and iPad. 8. 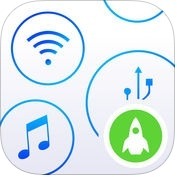 Files - File Manager & Web Browser ( iPhone + iPad ) :- Files-File Manager & Web Browser app is one of the best and powerful file manager apps for iPhone and iPad. This file manager file app has lots of amazing and useful features such as passcode lock, full portrait & support landscape mode, save web pages with images for offline viewing, bookmark manager, download manager, file manager, advanced PDF viewer, import photos from camera roll, unzip ZIP files, and much more. 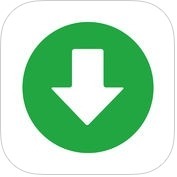 You can also transfer your files in other devices with this app on your iPhone and iPad. 9. FileMaster - File Manager & Privacy Protection ( iPhone + iPad ) :- If you want to manage your documents, audio-video files and text safely and easily, you can use FileMaster-File Manager & Privacy Protection app. With the help of this file manager app, you can access your files remotely with a password or locally with a master passcode. This file manager app has powerful and user-friendly features such as file manager, powerful media player, music player, import photos or videos from the system album, cloud stroge support, privacy protection, document viewer and more useful features.